[Nashville, TN] – Fresh off the tremendous success of the 91st National FFA Convention & Expo, which featured a visit from President Donald Trump and a concert by Garth Brooks, FFA announces a brand-new, student-led national television program to air on RFD-TV and The Cowboy Channel. “FFA Today,” presented by DISH will premiere on Jan. 7 at 7 p.m. ET. The weekly program will feature students living the FFA motto of “Learning to Do, Doing to Learn, Earning to Live, and Living to Serve.” Each week, FFA Today, hosted by FFA members will showcase their peers’ accomplishments in the classroom, in their community, and in agribusiness. "RFD-TV is continually seeking to produce new programming that not only serves rural America, but helps reconnect city with country at the same time." stated Patrick Gottsch, Founder & President of RFD-TV. "FFA TODAY is such an opportunity. There is so much "good" going on at FFA all over the country, that a weekly news program devoted just to FFA is easily justified. We look forward to expanding RFD-TV's relationship and support of the National FFA Organization." For more than 20 years RFD-TV has broadcast more than 30 hours of gavel-to-gavel coverage at the National FFA Convention. This year, coverage was expanded to include The Cowboy Channel and RURAL RADIO on SiriusXM Channel 147. The new television program complements FFA Today that is broadcast on RURAL RADIO on SiriusXM Channel 147 on Saturdays at 7:30 a.m. ET and 11 a.m. ET as well as 6:30 p.m. on Sundays. Rural Media Group, Inc. is the world’s leading provider of multimedia content dedicated to the rural and Western lifestyle. With a mission of reconnecting “city with country,” RMG is the parent company of RFD-TV (52 million homes), RURAL RADIO Channel 147 on SiriusXM Radio (33 million units), The Cowboy Channel (42 million homes), and RFD-TV The Magazine. RMG networks are distributed worldwide by DBS, telco and cable systems, including DISH, DIRECTV®, Comcast, AT&T U-Verse, Mediacom, Charter Spectrum, Suddenlink, Cox, and more than 600 independent rural cable systems. Corporate headquarters are in Omaha, Nebraska; broadcast operations are in Nashville, Tennessee for RFD-TV and RURAL RADIO Channel 147 on SiriusXM Radio, and in the Fort Worth (Texas) Stockyards for The Cowboy Channel. The Cowboy Channel is the first 24-hour television network totally dedicated to western sports and the western lifestyle. Headquartered in the Fort Worth Stockyards, The Cowboy Channel features content focused on rodeo, bull riding, roping, reining, barrel racing, and other western sports genres, along with western fashion, music, and movies. The lineup also features a wide variety of “live” coverage from major western events showcasing the world’s toughest and most talented cowboys and cowgirls. The network enjoys distribution into 42 million homes on cable/satellite systems on DISH, DIRECTV®, AT&T U-Verse, Charter Spectrum, Cox, Comcast, Mediacom, Verizon FIOS TV, and many other rural cable systems. In addition, The Cowboy Channel can be streamed via Sling TV’s Heartland Extra package. RFD-TV is the flagship network for Rural Media Group. 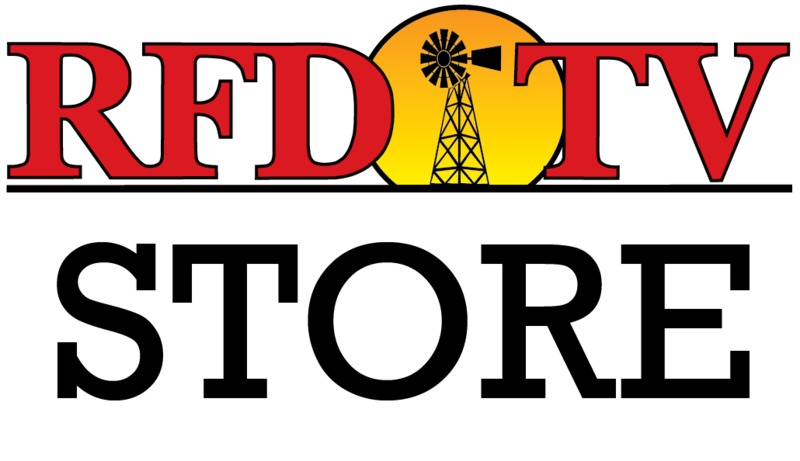 Launched in December of 2000, RFD-TV is the nation’s first 24-hour television network featuring programming focused on the agribusiness, equine and the rural lifestyles, along with traditional country music and entertainment. RFD-TV produces six hours of live news each weekday in support of rural America and is a leading independent cable channel available in more than 52 million homes on DISH, DIRECTV®, AT&T U-Verse, Charter Spectrum, Cox, Comcast, Mediacom, Suddenlink, and many other rural cable systems. In addition, RFD-TV can be streamed online via The Country Club at rfdcc.com, DIRECTV NOW, Roku, and Sling TV’s Heartland Extra package. Rural Radio XM147 Found exclusively on SiriusXM Channel 147, RURAL RADIO 147 is the agribusiness and Western-lifestyle channel for the U.S. and Canada. RURAL RADIO 147’s program schedule revolves around original productions focused on agriculture, equine, hunting, fishing, Western sports, and living the country life in small towns around rural America. Broadcast operations for the station are located in Nashville, Tennessee. The channel airs multiple exclusive news and agriculture series along with live broadcasts of Western sports competitions from the PBR, PRCA rodeos, and WPCA Chuckwagon races. For more information, visit RFDTV.com, RuralRadio147.com, TheCowboyChannel.com, and AmericanRodeo.com.